"Mia Cara" is loaded with extras that start where most 4550/4588s leave off, and pride of ownership is evident in every corner of this vessel, right down to the spotless engine room. Her classic hull lines are stunning. The low-deadrise gives an appealing Pacific Northwest profile. Three staterooms, two heads and an enormous salon area make her a very practical live-aboard. In this wonderful open-concept layout with huge windows, the galley overlooks the salon and the fully enclosed cockpit provides the ultimate living/entertaining layout. The third stateroom converts to a convenient en-suite office or computer area off the master stateroom. This vessel has extensive upgrades and additional equipment worth many thousands of dollars. 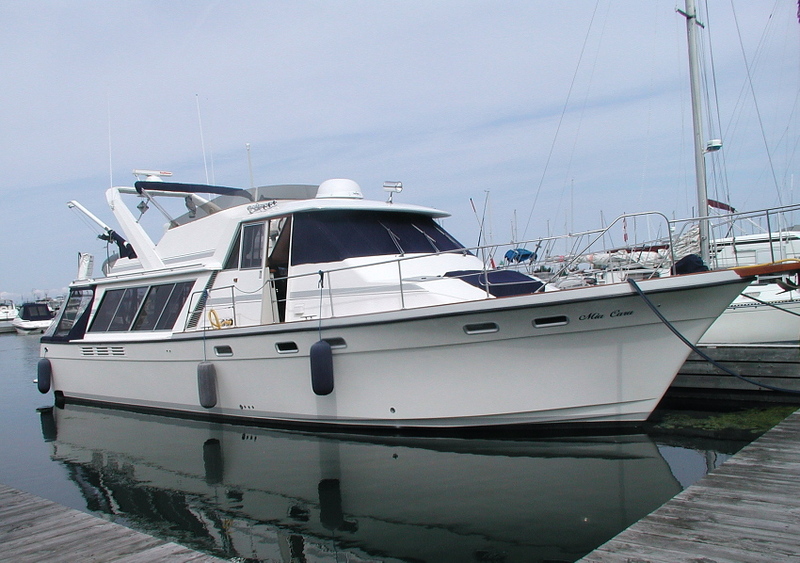 She is completely outfitted for extensive coastal cruising, or simply a fabulous comfortable family cruising yacht. Located off-site - please call for a viewing appointment.